Cybex 625R Recumbent Exercise Bike is a superb exercise bike. This exercise bike is best for the beginner to olympics as its 500 program varieties suites everyone perfectly. Cybex 625R Recumbent Exercise Bike is relentlessly durable. Front wheels: Because bikes are more mobile than many other exercise machines, they don’t stay in the same place all the time. The 625 cycles have wheels on the front for easy rolling so they can be moved around. Resistance Range:The 625R’s wide range of resistance (from 20 to 900 watts) can create a challenging or modest exercise experience. 20 Watts is much lower than most other bikes on the market and is important for de-conditioned users. 900 watts “can make a grown man cry” – quote from a veteran cyclist. Seat Engineering:A Cybex proprietary seat was designed by cyclists to provide comfort for the long ride. You need 3 things: as much surface area as possible for support in the proper areas – while allowing full range of leg motion – while being kind to between the legs – and only Cybex has it. On a Cybex bike riders really can work up a sweat so the seat back is designed with holes for optimized ventilation to keep you cool on any length of ride. *Note: Most of the sites, stores or shopping portals listed above sell Cybex 625R Recumbent Exercise Bike with discounts and other exciting offers. There is a possibility that the some of above websites are not selling Cybex 625R Recumbent Exercise Bike now. Toughtrain.com is not liable for such cases or instances. 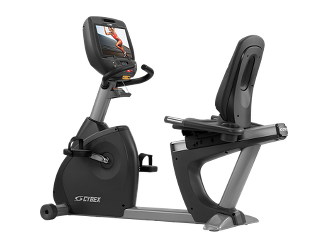 Also we do not recommend any seller for Cybex 625R Recumbent Exercise Bike and a buyer should buy from where he/she gets best deal with quality of products, service and on time delivery (shipment).